Valentine’s Day is T-minus two weeks away, peeps, so it’s time to start thinking about gifts, date night ideas, etc. for the day. And I feel like I might have told this story once upon a time ago, but it’s worth mentioning again, because it acknowledges a very real truth: even if your S.O. says she ‘doesn’t want flowers’ for Cupid’s occasion, she does. I had been with my then fiancé, now husband, for seven years before he ever sent a Valentine’s Day bouquet to my office. That’s totally my fault, because when we were in college, we went to separate schools and always tried to arrange visits to see each other for the holiday instead of sending gifts. 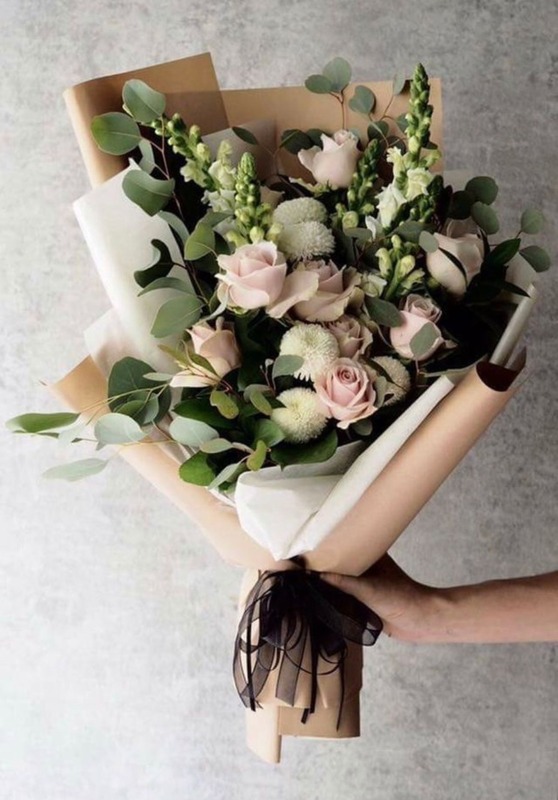 And then once we entered the NYC workforce, I happened to start just a few weeks before Vday, so I didn’t want my guy sending me flowers and potentially ‘embarrassing’ me in front of my new co-workers. Finally, a few years later, he said “Danielle, do you want flowers? 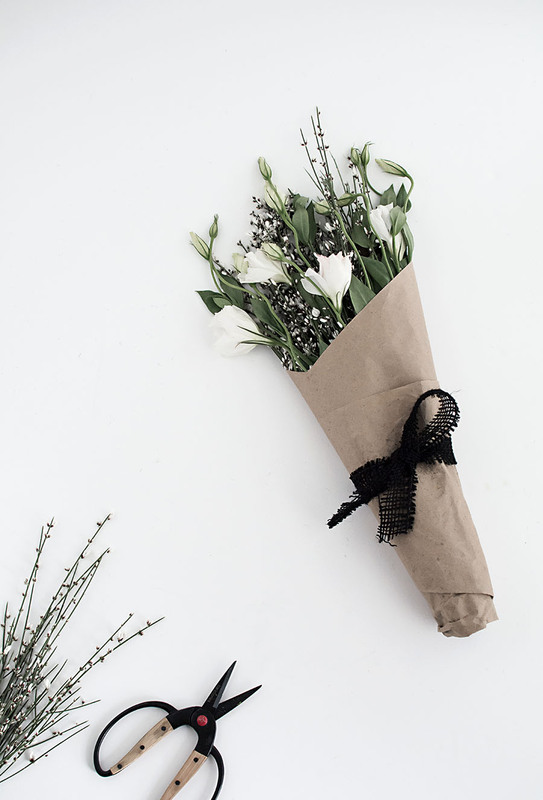 I want to send you some, but you never want ‘em!’ To that, I of course said ‘nah, it’s okay,’ but when February 14th came around, I eagerly waited to hear my desk phone ring to say that I had a delivery…. And it did! Despite my reassurance that I’d be “fine” without flowers on my desk, I really wanted them, and TG my partner knows me so well, he could tell that I was full of ****. At the end of the day, as much as we (as women) try to squash our need for the basic holiday treats and trimmings, we all want them. 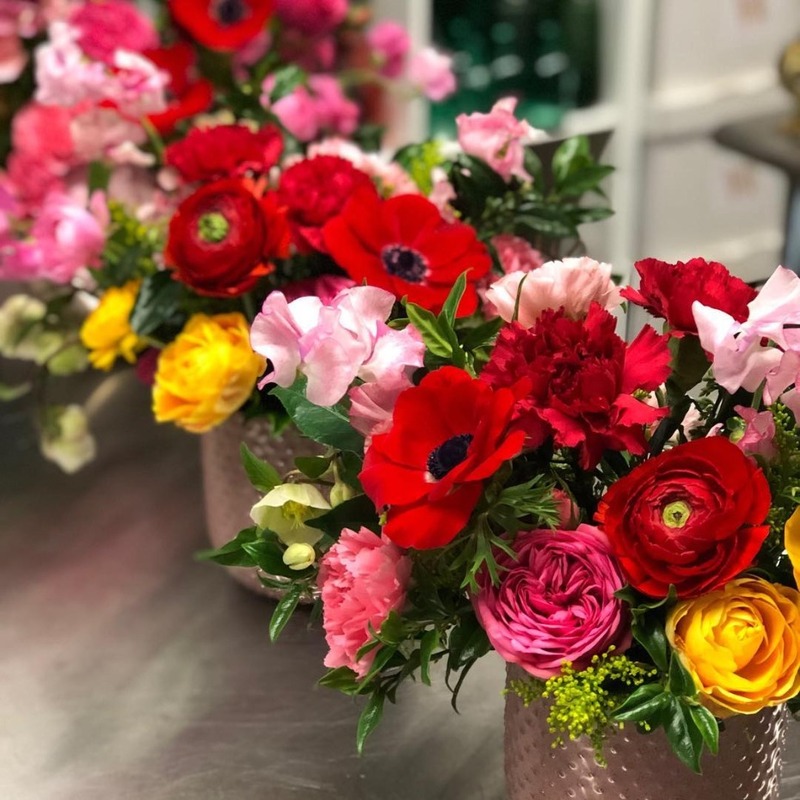 In fact, even one of our very own florists, Cherie of Waiting on Wildflowers Floral Artistry + Design, who’s literally around flowers EVERY.SINGLE.DAY recalls one of her most memorable Valentine’s Days with her husband. 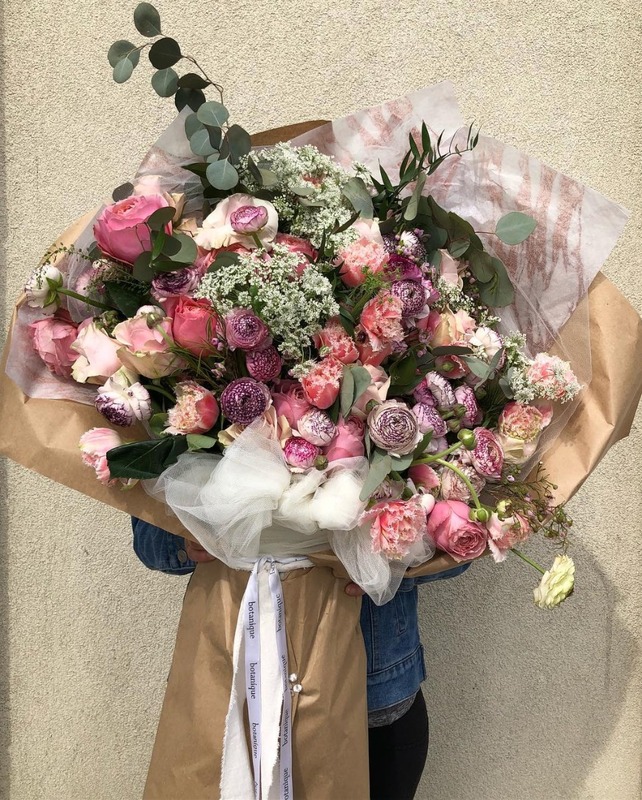 I think that sometimes we just expect Vday blooms to be roses or bust, but evidently, if we have a florist’s blessing - and we do, see above ☝️🌿- then we can move right on past those been there-done that bouquets. And allow those who love and adore us (they do!) to break tradition, try something new, and maybe even save some money while they're at it. Especially if that means DIY-ing it! 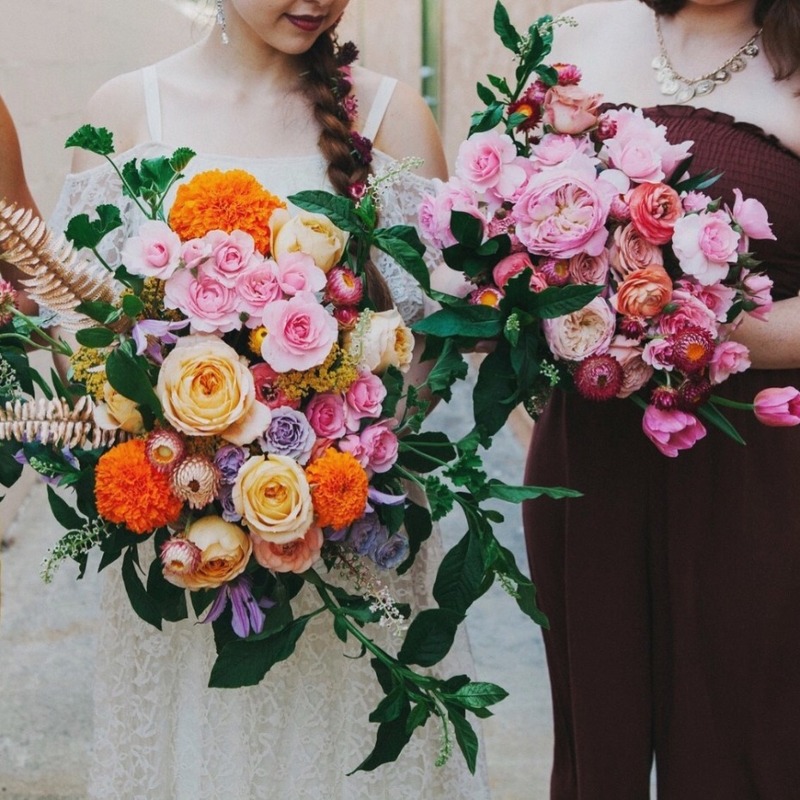 You don’t have to be married to a florist, either, to rise to the arrangement occasion…. Around Valentine's Day, the price to impress your favorite could cost more than the fancy bottle of Cabernet you picked out. So, Cherie came prepared with this arrangement recipe that will surely be having your gal reach for a hug. 1. Find a sharpened pair of garden shears and a container roughly the size of a can of soup. Fill it about half way with clean water. 2. Search the yard for greenery that looks sturdy and bendy. 3. 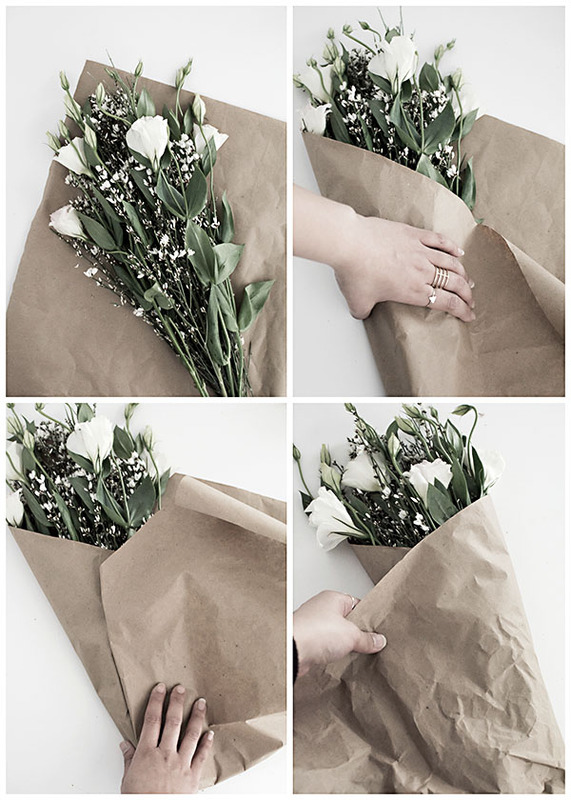 Check out your local grocer for fresh packs of florals like alstroemerias or carnations (they last for days!). 4. Add them in odd numbers, with even space. Remember not to stuff them too tightly so that they have room to breathe. 5. Add a simple card for an extra touch of love! Remember making Valentine’s Day cards when you were young? Well, you’ve still got that craftiness inside of you, have at it! Don't ya just love seriously XO-worthy looks that don’t immediately make you think of ‘accepting this rose…’ The only thing Bachelor-ish you should be willing for the evening is that fantasy suite… arewerite?!?! 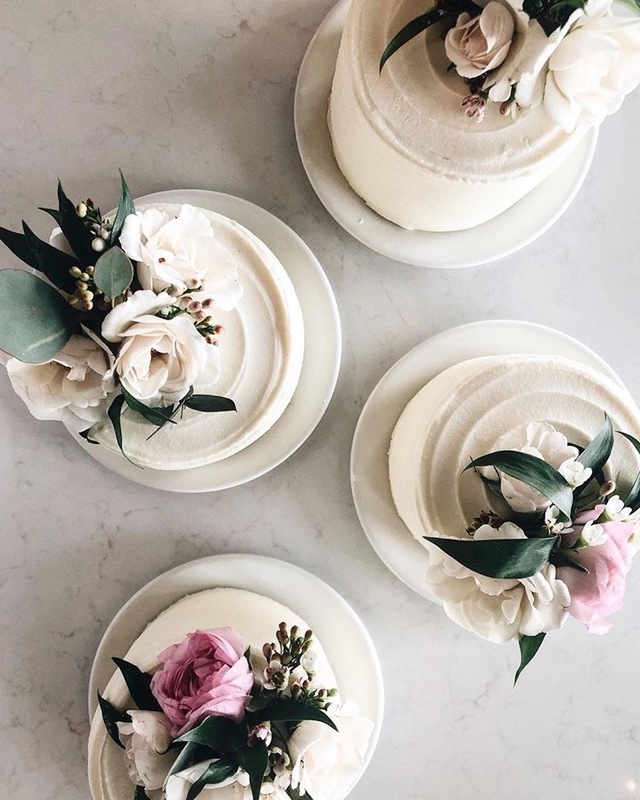 If all else fails, though, consider combining a few favorites - like baby cakes topped with fresh flowers a la Wild Hill Flowers and Events! We love this, because the two of you (and even more, if you have little ones at home) can enjoy it together. And afterwards, you can even put the blooms into a decorative shadow box for safe keeping! Oh! 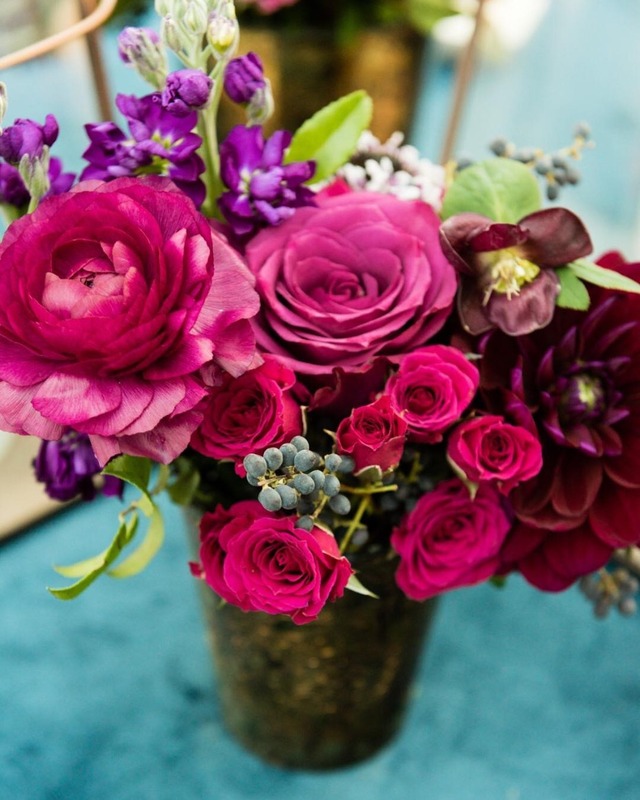 And we have plenty of floral inspiration to peruse. Stuff that will surely hit you like that arrow in your tush, if you need it … Check it out!